Venezuelan opposition protesters on Wednesday marched to the office of the country’s National Electoral Council (CNE) to deliver a petition demanding that the process for a recall referendum against beleaguered President Nicholás Maduro be expedited. In a tense face-off, supporters of the Democratic Unity Roundtable (MUD), a coalition of parties opposed to the governing United Socialist Party of Venezuela (PSUV), were prevented from entering the premises by state security personnel, prompting the recall effort’s chief proponent and former opposition presidential candidate, Henrique Caprilles, to declare that Maduro “is using force in the belief that it is going to stop us.” The high-profile tactic, which as usual has attracted frenzied attention in the Western press, is so far the clearest example of what Reuters has described as the opposition’s new “multi-pronged approach” to removing Maduro from office. Rather, the multi-pronged strategy combines these standard putschismo tactics of street protests and violent confrontation with constitutional approaches that have been made possible by the MUD’s control of the National Assembly. Since winning a two-thirds majority in the country’s unicameral parliament last December, MUD leaders have been emboldened to employ these additional methods of inter-institutional politicized struggle against the government within the established constitutional framework and existing institutions of state. In doing so, they have provided both a smokescreen and a veil of legitimacy to their “regime change” tactics, which evidently are as aggressive as ever. Though the means are being presented slightly differently, the end is the same as it has always been. Just as the Venezuelan opposition tried every means at its disposal to oust Hugo Chávez during his time as president between 1998 and 2012, the removal from office of his successor has been its primary political objective ever since he was elected in April 2013. With his presidency facing an increasingly severe economic crisis, the MUD won the landslide National Assembly election victory in December 2015 on the back of widespread public discontent and a growing perception that the Maduro government had not done enough to address the crisis’ causes. During the campaign, opposition figures portrayed the election as a plebiscite on Maduro’s record and presented the election of their parties to positions of power as the only hope of improving problems such as shortages of basic goods and medicines, as well as increasing power outages, crime, and inflation. But much like how the leader of the Republican Party in the U.S. Senate said in 2010 that his single most important goal was to ensure that Barack Obama would be a one-term president, the endurance of the opposition’s singular focus on ousting Maduro presumably means that activities such as entering into a dialogue with his government to constructively work together to solve these problems are at best secondary considerations. 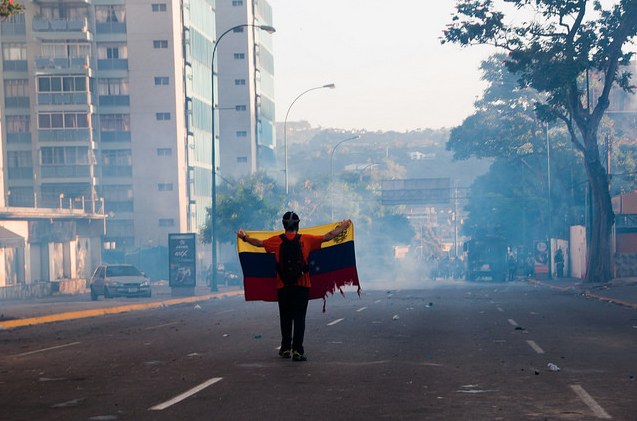 Despite repeated calls from the president for the two sides to enter into collaborative enterprises, including to address the economic crisis and to investigate the events of the guarimba street violence, opposition figures have consistently declined these opportunities to work cooperatively in service of the national interest. The charges of Chavista obstructionism and abuse of power have become so widespread in media accounts that they are now almost treated as truisms so patently self-evident that they merit no further examination, far less verification. But as argued in previous COHA articles, a more thorough examination of the facts can show that such accusations are not only often misleading, but in some cases outright false. It is important, therefore, to critically examine the details of the opposition’s attempts to remove Maduro through “constitutional” measures. It is worth mentioning that the recall effort on which Wednesday’s events were predicated is in fact a second attempt, and arguably second choice, tactic of the opposition since it took power of the National Assembly. It follows an earlier attempt to oust Maduro by reducing the presidential term’s duration via an amendment to the Constitution. The idea was to achieve this by utilizing a provision that allows for constitutional amendments to be initiated by the National Assembly. Article 341 Section 2 states that an amendment initiated by the legislature “shall require approval by a majority of the members of that body, and shall be debated in accordance with the procedure established under this Constitution for the enactment of laws.” Using this clause, the opposition wielded its two-thirds supermajority in the 167-seat parliament to initiate an amendment reducing the presidential term from six to four years – meaning that Maduro would finish his current term in 2017, two years before schedule. This first attempt was ultimately unsuccessful following an adverse ruling by the TSJ, however, which prompted the usual cries of blue murder from pro-opposition voices. According to this characterization, the tactic’s failure is just a natural reflection of the court’s intrinsic inclination to pander to the interests of the government. The New York Times, for instance, claims that the TSJ has “fiercely chipped away at the new legislature’s efforts” to bring down the government. A more sophisticated look at the circumstances, however, shows a very different scenario at work here than that which the likes of the Times present. What actually transpired was that the court merely ruled that modifying the six-year presidential term is viable in principle so long as it is approved in a referendum, but just cannot be applied retroactively. Article 341 Section 4 of the Venezuelan Constitution states: “Amendments shall be deemed approved in accordance with the provisions of this Constitution and the law concerning the approval referendum.” The TSJ was merely acting in its capacity as the arbiter of this clause of the Constitution and deemed that a reduction could not apply to the term of a sitting president. 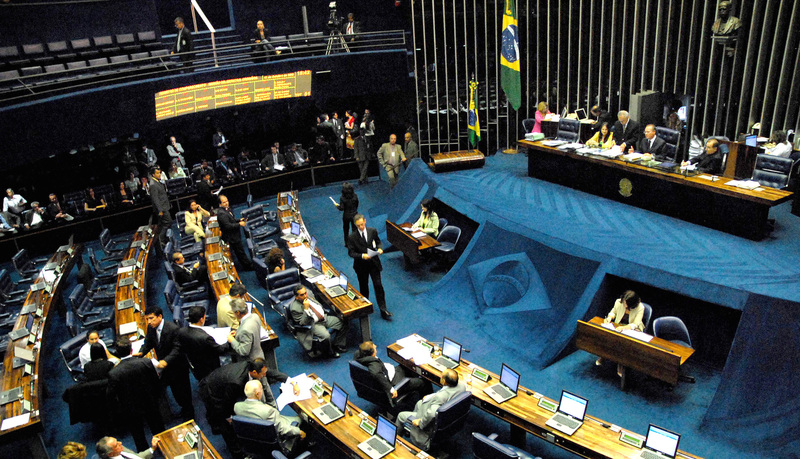 Not surprisingly, the opposition-aligned National Assembly members dropped the matter as soon it was shown that this was the case, indicating that they were never deeply committed to the principle of shorter presidential term limits generally, but were just advocating for it because it happened to be politically expedient for achieving their goals. Furthermore, even the viciously anti-Chavista Spanish newspaper El País pointed out that the MUD had submitted a paper to the court specifically requesting this retroactive application, which implies that its representatives knew in advance that it was a somewhat unorthodox request and probably not within the court’s ability to grant. But for the sake of political PR, this can all be conveniently forgotten: as soon as the ruling was made the opposition portrayed it as a travesty that demonstrates beyond doubt the government’s intrinsic authoritarianism and the country’s scandalous lack of judicial neutrality. One wonders whether the opposition really ever believed that these kinds of tactics would work, or even ever wanted them to, given the considerable public relations utility their failure provides. Again, sympathetic commentators in the Western media on cue repeat this narrative in condemnatory tones that belie its status as an objective press corps. Reuters, for instance, reported that the TSJ “shot down” the proposal, which the article characterizes as fitting with a wider pattern of the court “striking down measures passed by the opposition in parliament.” That the TSJ is perfectly within its right, in fact was founded with the explicit purpose, to consider cases and pass rulings about the constitutionality of laws passed by the legislature is a fact that seemingly is lost on the writers of these reports. After all, any TSJ ruling that isn’t to the opposition’s favor is automatically put down to its unbending allegiance to the PSUV and its elected officials. The aforementioned New York Times article, for instance, claims that the ruling against the opposition’s attempt to remove Maduro via a constitutional amendment was a result of the fact that the court had been “packed by leftist loyalists of Mr. Maduro [in the National Assembly] only days before they handed over power [of the parliament to opposition leaders].” Leaving aside that all outgoing parliamentary majorities to some extent spend their final days exercising soon-to-be-vanquished powers, the wider implication is that once in office all Chavista-appointed members of the TSJ willfully ignore or distort the correct interpretation of the constitutionality of the laws brought before their judgment, in order to advance the interests of the PSUV and disadvantage the MUD. Needless to say, this is an extremely disparaging insinuation that serves to automatically discredit any TSJ ruling that doesn’t work to the opposition’s advantage. Even if such a serious charge could be conclusively proven, the opposition in many ways has only itself to blame for the make-up of the nation’s highest court. As laid out in the Constitution, each member of the TSJ must be appointed to serve one non-renewable 12-year term by the National Assembly. In the 2005 elections for the 167-member legislature over half of the opposition-aligned parties boycotted the vote. With the Chavista coalition (then called the Fifth Republic Movement) therefore running near-completely unopposed, it comfortably won a two-thirds supermajority with close to 70 percent of the Assembly’s seats. Since most of the currently serving justices of the TSJ are appointees from this session of the Assembly, which served from 2005 to 2010, they were installed by a legislative branch whose elections much of the opposition had refused to contest. Likewise, the 2004 alterations to the TSJ that were widely condemned by pro-opposition voices, such as increasing the number of justices from 20 to 32, were a response to the failure of the body to effectively bring to justice the perpetrators of the April 2002 coup, in which extreme right-wing elements, supported by the Bush administration and aided by the CIA, briefly removed then-President Chávez from office by force. But in mainstream media reports all of these inconvenient details are subsumed by hysterical proclamations of “power grabs” and “take overs” of the judiciary. With the term limit reduction strategy never being a sure win, the opposition employed the secondary tactic of pressing for a recall referendum that would trigger an electoral challenge to the president. Like the provision for the National Assembly to initiate constitutional amendments, this measure is also provided for by the country’s 1999 Constitution. Article 72 states: “All magistrates and other offices filled by popular vote are subject to revocation.” This strategy has so far proved more effective for the opposition: after receiving the request from MUD assembly members the CNE granted the documents for the process to begin last month. But even when things apparently start to go their way, the opposition and its supporters find fault with the process and portray themselves as victims of Chavista meddling. MUD leader, and now President of the National Assembly, Henry Ramos Allup, for instance, has accused Maduro’s government of attempting to sabotage the recall effort. He has also bizarrely claimed that the government’s implementation of a truncated workweek, which was obviously done as a response to the energy and water shortage crisis, was in fact a clandestine effort to paralyze the MUD-controlled National Assembly. Other opposition complaints about the recall process include gripes about the fact that it will require the signatures of four million people in order for it to ultimately trigger an electoral challenge to Maduro’s presidency. This might seem like a high number, but one simply cannot blame Maduro or the CNE for it. This is because the figure is calculated from terms set out in the Constitution itself. Article 72 states that in order for a vote to take place those seeking the recall must put together a petition containing the signatures of 20 percent of registered voters. Its exact text reads: “a number of voters constituting at least 20 percent of the voters registered in the pertinent circumscription may extend a petition for the calling of a referendum to revoke such official’s mandate.” The rest is basic math: there are roughly 20 million registered voters in Venezuela and 20 percent of 20 million equals four million. There have also been criticisms of the CNE’s oversight of the recall petition drive, such as its procedures in granting the documents for the gathering of signatures. Emiliana Duarte, for example, in a post for the blog Caracas Chronicles, accuses the CNE of deliberately making the process more arduous for the opposition in an attempt to sabotage the effort. But the CNE’s careful treatment of this case can hardly be put down to wanton pedantry when it has already emerged that of the 1.85 million signatures submitted to the recall petition so far, 190,000 of them are disqualified, some which belong to the deceased. Duarte seemingly went over with a fine toothcomb every last piece of minutiae (that has arisen or might potentially arise) in the CNE’s administration of the recall procedure in order to find evidence of its purportedly unyielding bias in favor of the government, but apparently didn’t spot this deliberate act of fraud on the part of the opposition. The event had the added benefit of rallying regional allies with a shared hostility to leftist movements throughout Latin America. In a harshly worded open letter, Luis Almagro denounced the Maduro government’s claims of an impending coup. Invoking the Venezuelan Constitution, which was adopted following the election of former President Hugo Chávez in 1999, Almagro stated: “You have an obligation to public decency to hold the recall referendum in 2016, because when politics are polarized the decision must go back to the people.” The letter adds to a long list of attacks against the Maduro government on Almagro’s part including a call for the OAS to invoke the Democratic Charter, which essentially provides for a collective intervention by OAS members to remove a government that has been deemed to have experienced “an unconstitutional interruption to the democratic order.” Indeed, Almagro’s intervention fits with a wider pattern of international right-wing forces coaxing the opposition into escalating their offensive against the government. Perhaps the greatest irony of the whole episode of “constitutional regime change” is the manner in which the Venezuelan opposition and its supporters now wish to portray themselves as deeply committed to the sanctity of the Venezuelan Constitution. After all, the major figures on the country’s political right were not exactly enthusiastic about the document or the events that led to its codification in the first place. Yet were it not for the numerous progressive clauses that many of them lobbied aggressively against, the very mechanisms they are now using to oust Maduro would have never existed in the first place. It is indeed a strange paradox of Venezuelan politics that members of the opposition have Chavismo to thank for the very methods they now utilize to fight against it. The crocodile tears that begin as soon as these provisions do not yield the result they expected ring all the more hollow when one considers that if they had had their way, the 1999 Constitution would likely have never been realized. Let us also not forget what kind of contempt opposition figures have shown for the Constitution when they have had a hold on power. While shortly serving as interim president after the April 2002 coup that removed then-President Hugo Chávez from office, Pedro Carmona’s first order of business was to declare the Constitution void and dissolve the National Assembly and TSJ. But in spite of all this, Carmona’s ideological heirs now get indignant when their belated engagement with the Constitution does not produce the outcomes that they were hoping for. If they truly had a deeply felt affinity for the document, then one wonders why they are not adhering to the principles set out in Article 197, which states: “Deputies of the National Assembly, are obligated to work on a full-time basis for the benefit of the people’s interest.” When they are concentrating their energies on ousting the president and refusing to work cooperatively with his government to address the economic crisis, they can hardly be characterized as following the provisions of the Constitution to the letter. Indeed, far from wanting to resolve the crisis, which they themselves along with their business sector allies are implicated in causing, the resulting public anger has played right into their hands; a development they have been quick to cynically exploit to bolster their “regime change” efforts. Their newfound reverence for the constitution is in turn mere cynical posturing that has become momentarily convenient in their hell bent drive to raze all vestiges of what has come before, as evidenced by their removal of all symbols of Bolivarianism from National Assembly buildings as soon as they won their majority. From the spirit of such acts one can discern that their manic fixation on removing Maduro from office is not just a function of their unwillingness to work collaboratively or their total lack of any credible alternative economic program, but rather a revealing window into their true intentions. The opposition’s dogmatic commitment to undoing the social gains of the revolution has already become evident from their short time in charge of the legislature. From a bill to roll back progressive labor law to a drive to privatize the public housing missions, the legislative maneuvers of the opposition since December have confirmed the suspicions of those who have long feared that its ultimate aspiration is to return the neoliberal order to Venezuela and rebuild the Fourth Republic. Featured Photo: Taken From Flikr.